Practical advice for getting more out of your meditation sessions. Sit. Do nothing. Watch the breath. Watch your responses. All of them, non- judgmentally. Let them flow through you. Watch the breath more. That is meditation in a teeny tiny nutshell. Oversimplified, but the essence is there. Sounds simple and yet it can be quite difficult to do . Be open to finding a Teacher. In 30+ years of practicing, I have not yet met anyone who successfully established a meditation practice after reading a book , listening to a CD or working with an app. Find a teacher who whose interactions reflect transparency and integrity. They need not be a lighthouse of peace and calm at all times. Ideally they teach from their own experience of meditation and not just by the book or the course they just took “yesterday”. 2. Connect with a Meditation Buddy. This works similarly to a running buddy or gym workout buddy. Maybe you sit and meditate together once or three times a week. Maybe you do a text or phone check in daily : “ I meditated for eight and a half minutes. Agitated mind today…you?”. Ideally your meditation buddy is NOT your significant other. Too many agendas. Not everyone has the luxury of a dedicated place or chair (small apt, multi-use by many people). In that case, Find/Choose a blanket, shawl, scarf or other fabric that, when you take it off the back of the chair or off the hook and lay it over the chair, it signals to you that it is now transformed from the reading chair to the meditation chair (for instance). 4. DeClutter & Clean Space : a clear, de-cluttered space/area supports Meditation Practice for most people. Not only do you have less to distract you environmentally, but the outer sets a tone and example for the inner. Most people exhale and relax a bit when walking into a clear space. 5. Keep a Meditation Log for the first year or three. Resume this practice if you have lost the consistency of Practice and are aiming to resume. A Log differs from a Journal in that it is minimal and factual. Think StarShip Enterprise Log or any ship Captain’s Log: Date, Time of Day, How many Minutes Meditated and a BRIEF essential descriptor of your state of mind in meditation . “March 20, 5 a.m. 6 minutes. Began sleepy. Ended alert and busy mind.” OR “March 21, 8 a.m. 4.5 minutes. Agitated. “ This is not a creative exercise. A log book keeps you honest with yourself : I did it, I did not. Like a dieter weighing in. No discussion of menu or calories. Not a journal of your ecstatic visions. These miss the point of Meditation Practice. 6. Best time to Meditate is the time you will actually DO IT! Traditionally early morning , pre -dawn and in some traditions, midnight are considered most potent times. But better to meditate when you CAN and WILL than to hold these ideals and then not do it. 7. Best Meditation Posture: Comfortable but not too comfortable. Comfortable enough to sustain for the 3 to 60 minutes you intend to sit. Not so comfortable that the chair , couch, posture invites or induces sleep. Do support spine to be long , tall , open but not stiff and rigid . Among. other reasons, this opens breathing best. 8.Scent/Smell: Sense of smell more than any other sense connects directly to the brain and some scents support Meditation. Make the space inviting with a good smell that invites what you need. Some people establish use of incense that invites quiet focus. (You have to experiment to find the scent and brand you are compatible with.) Others cannot tolerate smoke (or their housemates cannot) , in which case you can use natural, pure essential oils in a diffuser . If you need wake up ! : rosemary, peppermint ,citrus scents are useful . If you need calming :lavender , sandalwood are useful. Rose and jasmine tend to evoke joy. Meditation beads ,aka a mala, IF that is part of your practice. A glass of water or warm herbal tea .A sip before and after can be grounding. Socks, sweater , or shawl. Everyone cools down during relaxation and you may be lucky enough to relax one day. Feeling cold can distract you from Meditation and may challenge health. Pleasant chime timer. All smart phones have options for pleasant gentle timers. This is better than a jarring egg timer or loud buzzer alarm clock. Meditation Log Book and pen. See above. Personally meaningful inspirational image , symbol, object. Perhaps a photo of an important Teacher /Mentor. Perhaps a book that is part of your spiritual or personal growth path. An image or object of spiritual significance to you. You get the idea. Just be careful not to get overly fussy with this so that the things become a distraction to your Mediation Practice. 10.Community: It is easier to meditate with others. Find a local place/group you can share a meditation practice with once a week, or once a month, or from time to time . The benefits to this are many. If you are in a rural place or the only local mediation circle requires you to sign up for life, at least aim to meditate together with a Meditation Buddy from time to time. Dr. Hanna Chusid, Ed.D was born and bred in Chicago, earned her MA and Doctorate in Western Canada and is an LCSW and Licensed Clinical Psychologist in California.She offers over four decades of expertise, weaving a wide range of therapeutic healing modalities from humanistic, systems and cutting-edge positive interpersonal neuro-psychology with multi-cultural, East-West Wisdom Traditions.Dr. Chusid further integrates expertise as an experienced Certified Yoga and Meditation Teacher and an Internationally Certified Yoga Therapist. 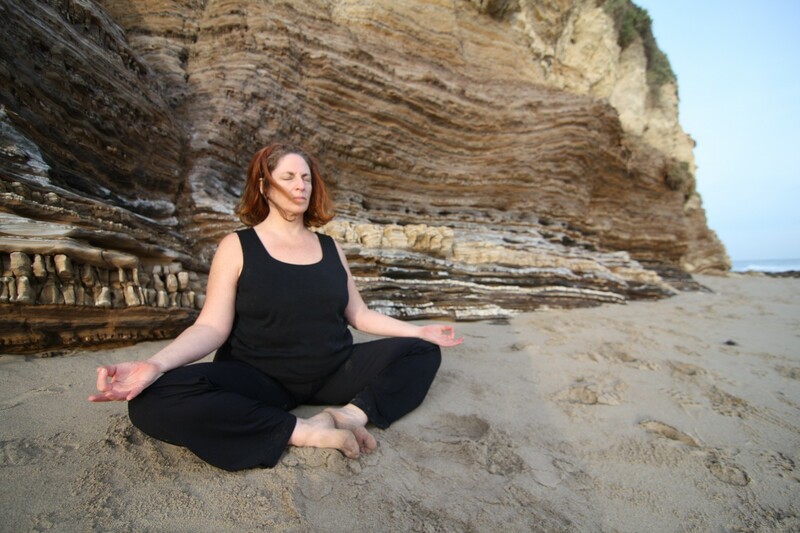 Dr. Chusid maintains a private psychotherapy practice and teaches yoga and meditation in the San Fernando Valley and on-line.